NB: Gladstone Conservation Council will only attest to hundreds of fish, not thousands as reported. We supplied the photos for this article. WASHED UP: Thousands of dead fish have been appearing at South End on Curtis Island. AN UNUSUALLY large number of dead fish was found on the shores of Curtis Island over the weekend, concerning residents who believe the fish kill was in the thousands. 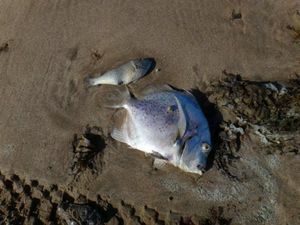 While the deaths coincide with the annual natural algae spread, locals say the event doesn't usually affect so many fish, or such large specimens. 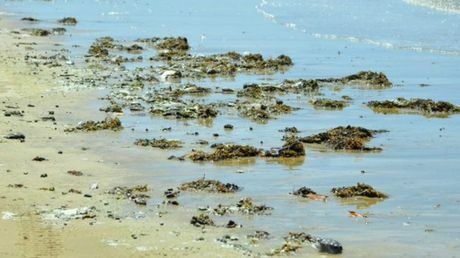 The Environment Department is monitoring the situation, and have warned people that touching the slimy-looking algae could cause skin irritations. Curtis Island resident Cheryl Watson, who saw the fish kill on Saturday, said it was an annual event to see a few small dead fish around, but this was something else. "We're not saying it's anything but the algae but it's an unusual circumstance to have such a variety and large fish," she said. "The photos really don't show up the extent of it, they were in patches and tangled up in seaweed." A spokesperson for the Environment Department said the cause of the fish remains unclear but it could be related to algae. "Trichodesmium blooms occur naturally in tropical and sub-tropical water in late spring/summer typically disappearing within a few days," he said. "There was a similar incident at Facing Island in 2011." Fish deaths can be reported to EHP through the Pollution Hotline on 1300 130 372. This entry was posted in Newspaper Articles on October 30, 2013 by A..
"Neither scientific nor conservation sector experts will be consulted; nor will there be any public consultation over the fate of these lands which were originally gazetted to be protected, for the public good, in perpetuity. " This entry was posted in Newspaper Articles on October 27, 2013 by A..
A report has come in about a large fish kill on 26 October 2013 associated with an algal bloom off Ocean Beach, South End on Curtis Island. There are hundreds of fish in the kill. Some varieties reported are flathead, parrot, stonefish, toadfish, spikey toadfish, happy moments, bream, whiting, stingray, eels, cod, mowong stripies, these ranged in sizes from 60mm to 350mm. Small and larger black fish were also found. There were also 5 black birds dead among this as well, although they have not been identified. The algae has been there for a few days. We do not know the cause of the kill, and we are aware that locals say that while there are small fish kills associated with algae every year, this is the largest kill any of the locals have ever seen. Algae growth responds to nutrients in the water and fish kills could be related to lack of oxygen in the water due to the algae, or to toxins from the algae or both or a cause as yet unknown. The intensity of this kill and the fact that it is has killed large fish of multiple species and possibly fish eating birds is extremely concerning. We will provide more information as it comes to hand. This entry was posted in Newspaper Articles on October 26, 2013 by A.. 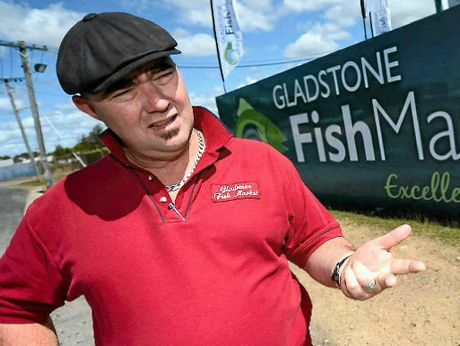 This entry was posted in Newspaper Articles on October 19, 2013 by A..
GLADSTONE fish market owner Simon Whittingham feels vindicated by the release of a new water quality report that surfaced last week. 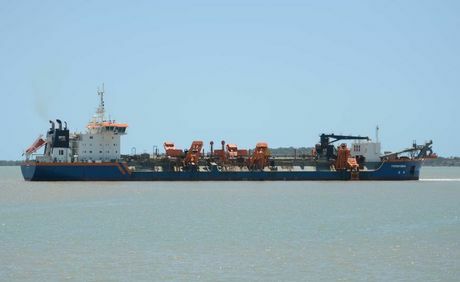 This afternoon at the monthly meeting of GREAN, the Gladstone City Council's environmental consultative committee, GCC's president Jan presented his independently collated data regarding pollution events in the Harbour during the recent dredging process. This entry was posted in Newspaper Articles on October 17, 2013 by A.. This entry was posted in Newspaper Articles on October 10, 2013 by A..